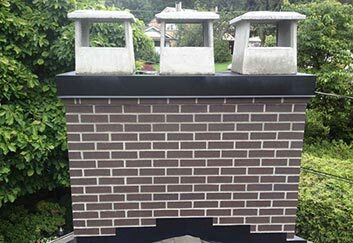 Lindbjerg Chimney is a family business offering professional chimney repair and masonry services in Metro Vancouver. 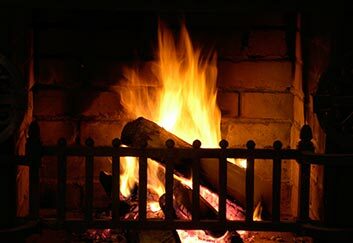 We specialize in chimney repairs, fireplace repairs, chimney sweep and cleaning services. We offer reliable, safe, and clean chimney repairs and cleaning. We are fully insured and treat your property with proper care and respect. We always provide exceptional work. Leak repairs and prevention, chimney repointing, flashing repair, chimney cap installation, and chimney restoration and rebuilds. Request a free repair inspection and estimate today. We provide fully insured chimney cleaning services and inspection to ensure your chimney is safe, and that there are no issues or damage. Schedule chimney cleaning. The most reliable way to determine what work needs - or doesn't need to be done - is to have us inspect the chimney or fireplace. Schedule a free estimate inspection today. Lindbjerg Chimney is a family owned and operated business specializing in chimney repairs, rebuilding, and restoration. Henning has fixed, rebuilt, or restored thousands of chimneys since beginning in the trade almost 40 years ago. 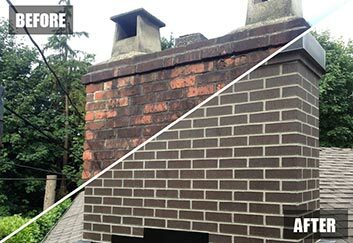 Take a look at our before and after photo gallery to see exactly what a chimney or fireplace built, repaired, and cleaned by Lindbjerg Chimney looks like. I had water leaks coming from my chimney area. I met with Henning Lindbjerg and found him to be friendly & courteous. He explained to me my problem and how it can be fixed. He and Daniel completed the job in a timely manner as promised, and cleaned up when the job was done. I found their work ethic to be professional, hardworking and efficient. I recommend Lindbjerg to anyone who needs work to be done to their chimney. We contacted Lindbjerg Chimney about the chimneys in our 40 year old home, and we couldn’t be happier that we did. Their expertise was immediately obvious, and they walked us step by step through the work to be done. They arrived as scheduled, were professional, polite, courteous, fastidiously neat and seemed to really enjoy their work. The final bill came in as quoted – with no surprises. We would strongly recommend them. 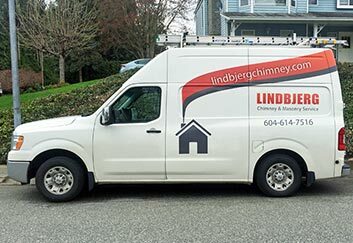 We contacted Lindbjerg Chimney Service because of leaks around our existing chimney. They came quickly and in the rain analyzed the problem, and completed some immediate measures to reduce the water damage. Their quotation was thorough, easily understood, prompt and they were on the job in a matter of a few days. The problem was exactly as they predicted and the solution, a new upper chimney portion, is extremely attractive. Our fireplace chimney had been damaged extensively. We sought numerous repair estimates which ranged from unbelievably low to unbelievably high. We contacted Henning Lindjberg who offered us the most detailed, reasoned, believable and fairly priced solution. We found Henning and his crew pleasant, efficient, honest and talented bricklayers and I commend them to anyone seeking chimney repairs. Yes. We are fully insured by Workers Compensation Board of BC (Worksafe BC). My chimney has moss all over it – is that a problem? Yes! Chimney cleaning is of utmost importance for the safety of your home, and the people in it. 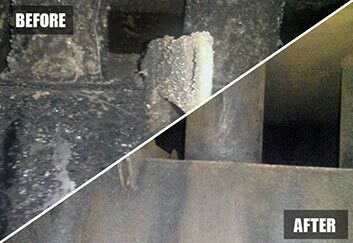 Debris, soot, and creosote accumulate in your chimney and if not cleaned out can cause chimney fires which can destroy a home, and injure or kill people. At least once per year. If burning in the fireplace is extensive (i.e., 50+ times), you should consider requesting an inspection and, if required having the second cleaning per year. Learn more. When does a chimney need to be rebuilt? Common signs that your chimney is in need of a rebuild (and is too deteriorated to repair) are loose bricks, cracks, mortar falling out, and spalling (face of bricks falling off). Not sure how to identify these problems? Let us know. 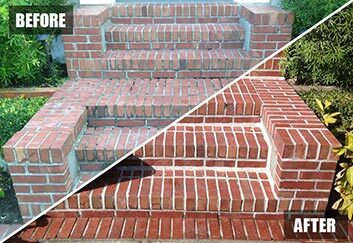 We can take a look and provide an estimate for free. What does maintenance of a wood burning chimney include? What is causing the fine, white residue in my fireplace? Lindbjerg Chimney Services Area. 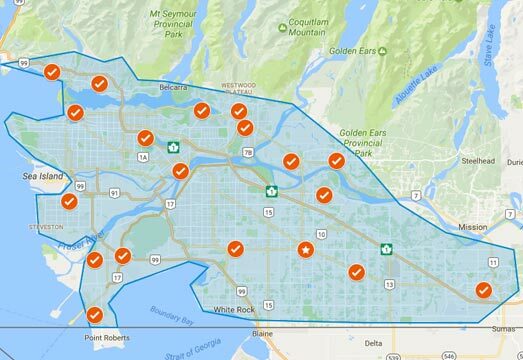 We serve Vancouver all the way to the Fraser Valley.